There was an interesting story recently in the NY Post detailing a tenant’s victory in a bed bug related suit against his landlord. NY landlords are all taking notice, because 35-year old tenant Luis Cotto settled for a $300,000 judgement against his landlord. Normal bed bug problems are not the things that will land you in court. But in this case, the landlord (Gouramety Jackson) ignored Cotto’s repeated reports of the infestation, and refused to do anything about it. 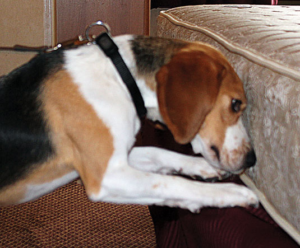 This landlord – whose name is in print connected to his negligence – could have saved tons of money, hassle and bad publicity if he would have simply used a bed bug dog team to inspect his building for active bed bugs. In NYC, there will ALWAYS be a concern for landlords like Jackson to take steps to protect their residents and renters – and this case illustrates very clearly how much it can cost to ignore the problem. If you are a landlord in NYC, you want to schedule ROUTINE bed bug inspections using a highly trained and certified team. As New York City’s most trusted bed bug inspection and detection teams, our experts are ready to help landlords and renters alike. Call 212-299-9186 and allow us to help you protect your investment! Schedule monthly services as a preventative measure, and you will never find yourself in Jackson’s unfortunate situation.